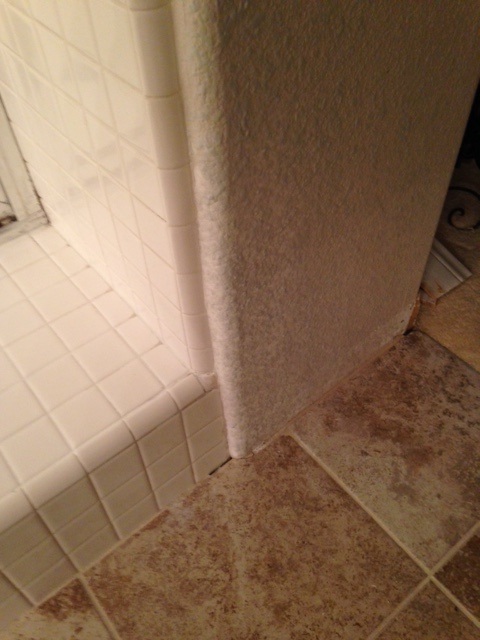 A mission Viejo home needing re-grouting, cleaning and re-caulking in the master bathroom. 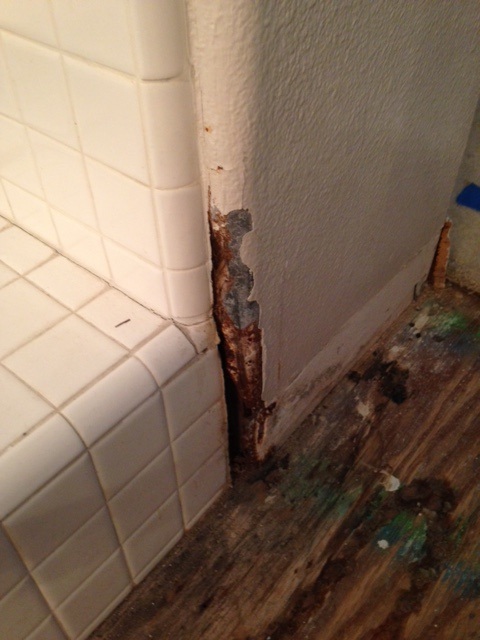 Wall damage was patched and repaired,then re-textured. 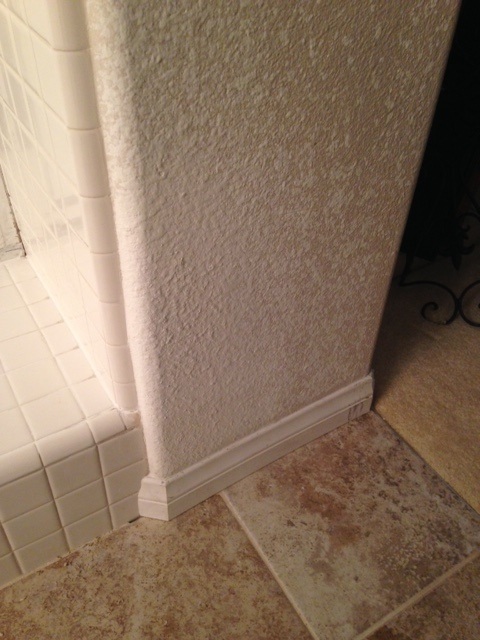 The replacement baseboards are re-installed and new, ready for paint! 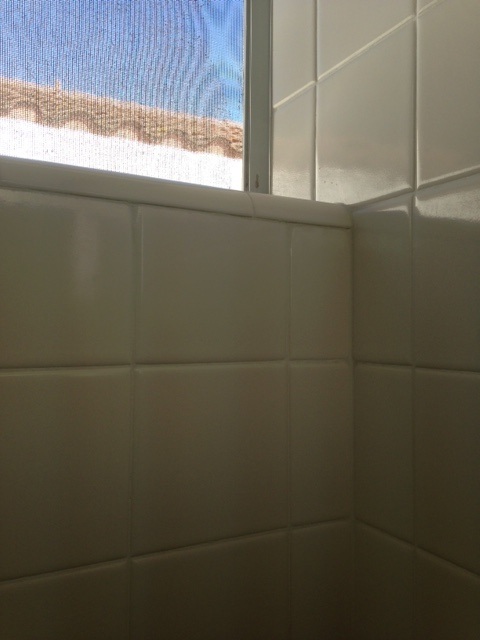 A couple of the rooms in the home had French style doors that were physically damaged. 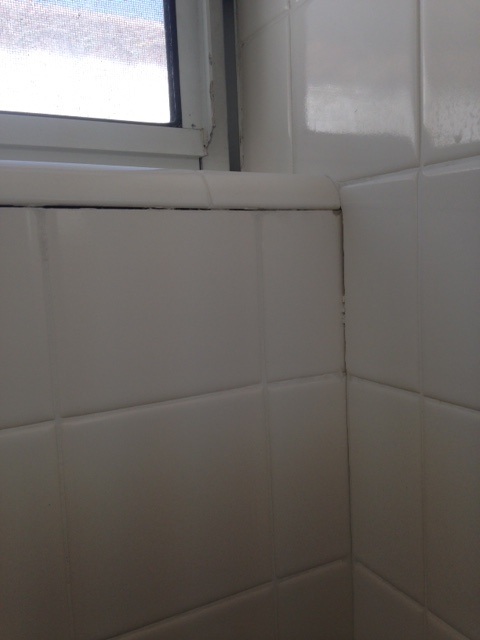 Many large and small holes, claw marks and deep scratches, loose hinges/hardware, as well. 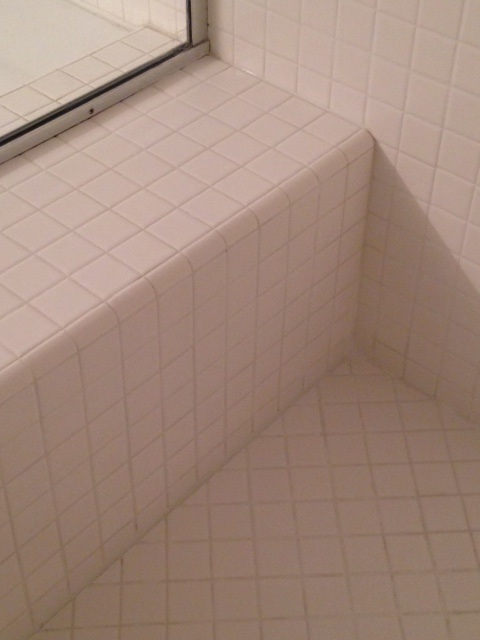 The doors had to be replaced. 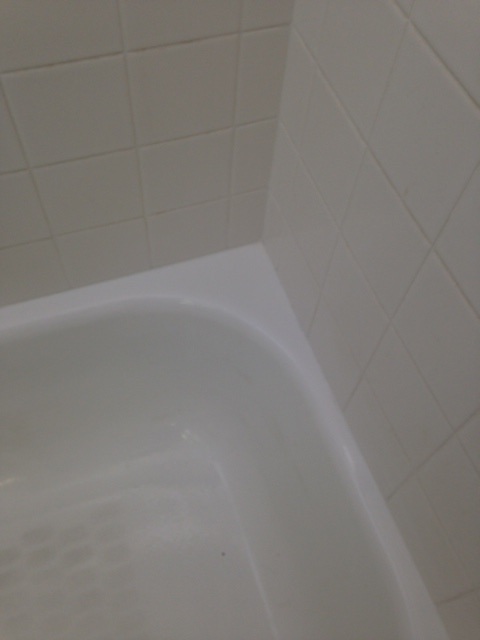 This involved cutting to fit, boring holes, mortising the hinges and repairing/aligning hardware. 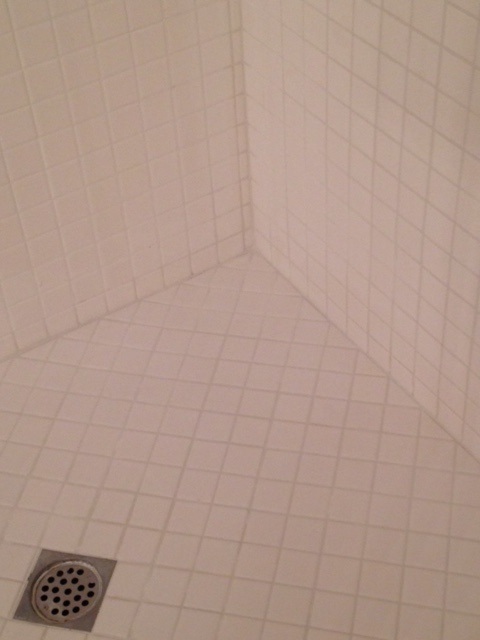 The same house. 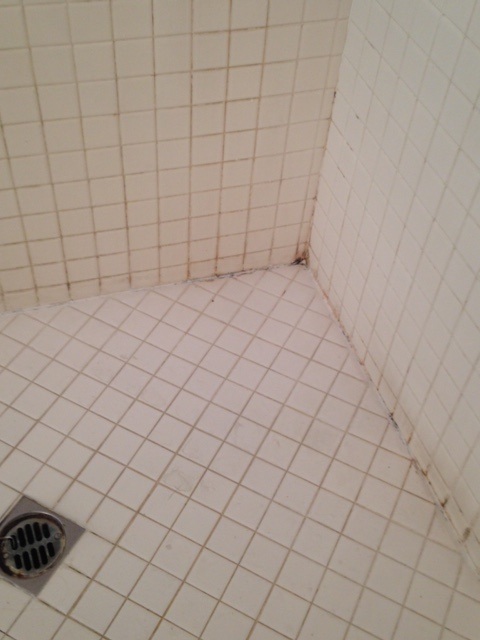 Working on The main Hallway Bathroom. 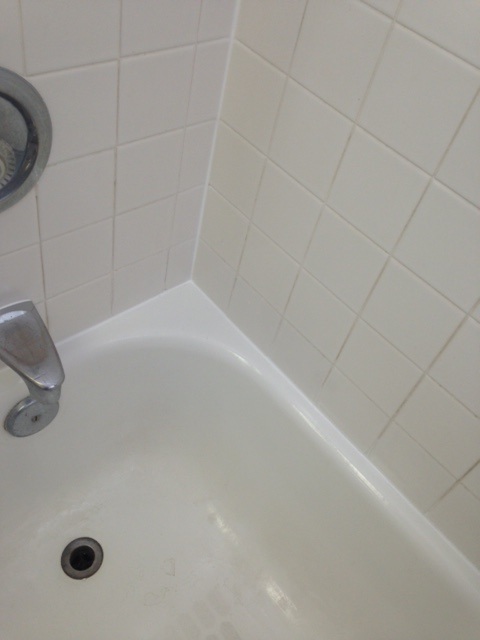 The corners of the tile, the frame of the glass tub/shower doors, and window sill and frame, tub spout, soap dish, plus the tile at the corners to the ceiling all had mold or missing grout and caulking and/or both. 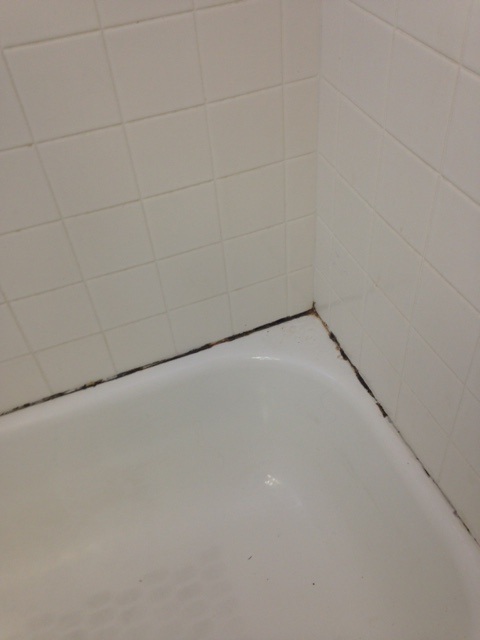 The damaged areas all had to be parged/cleaned completely out of mold, deteriorated caulking, and loose/dirty grout. 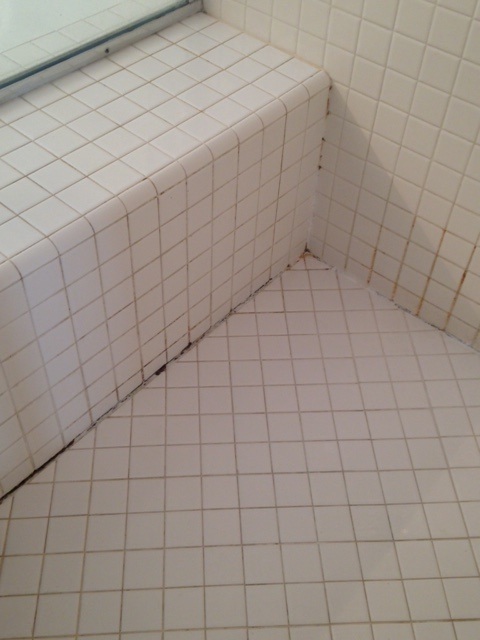 After the damaged areas are scrapped, and cleared free of old caulking, mold, loose grout and dirt, then is ready to be re-grouted and then caulked/sealed as necessary. 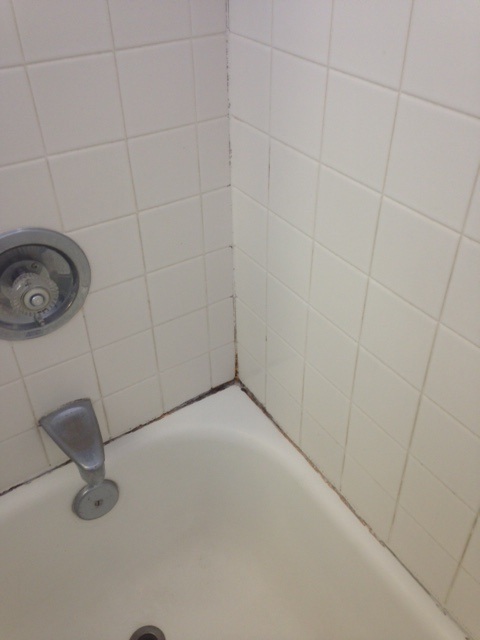 It's very important to clear out molded areas, because the mold can shorten the life of the new caulking. 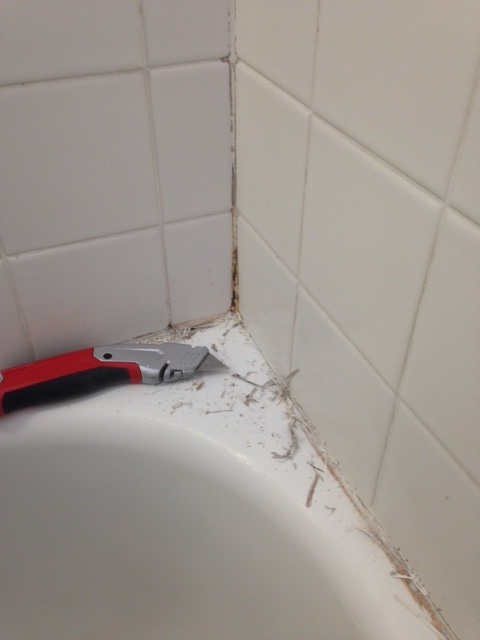 While the whole process of fixing the tub/shower is labor intensive, the new caulking also takes about 8 hours to cure as well.